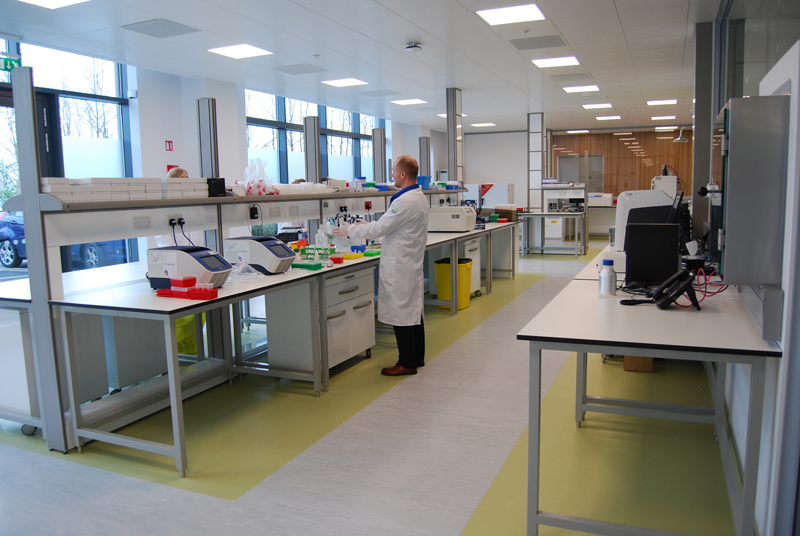 Genomics Medicine Ireland is a purpose built laboratory developed for the sequencing of genetics. 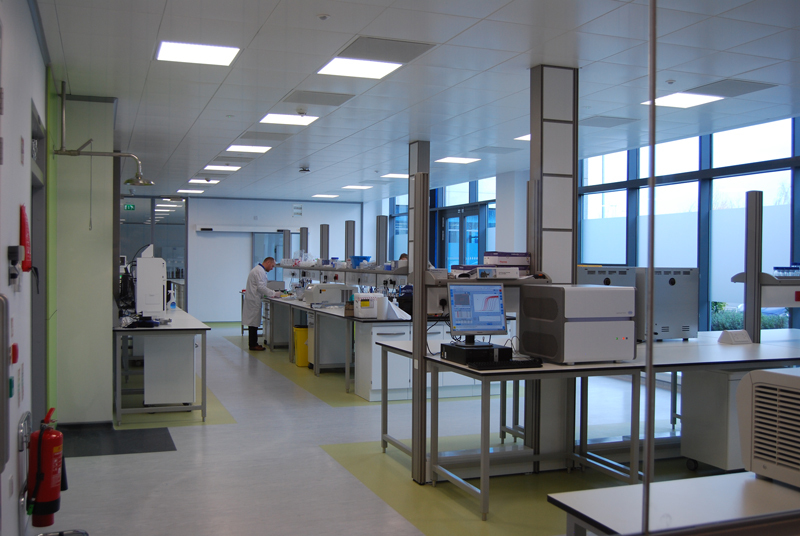 GMI are an Irish life sciences company leading large scale research studies into the human genome. 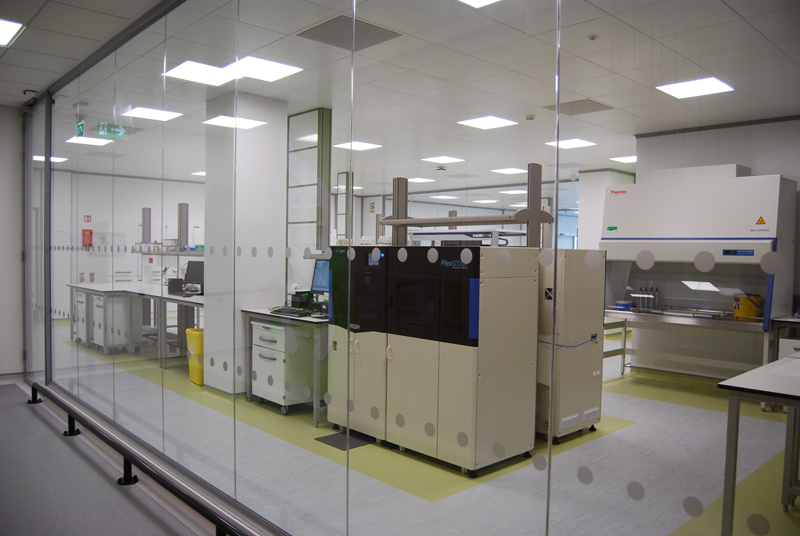 JAE engineering Ltd. were asked to come on board by GMI when they decided to build their laboratory. 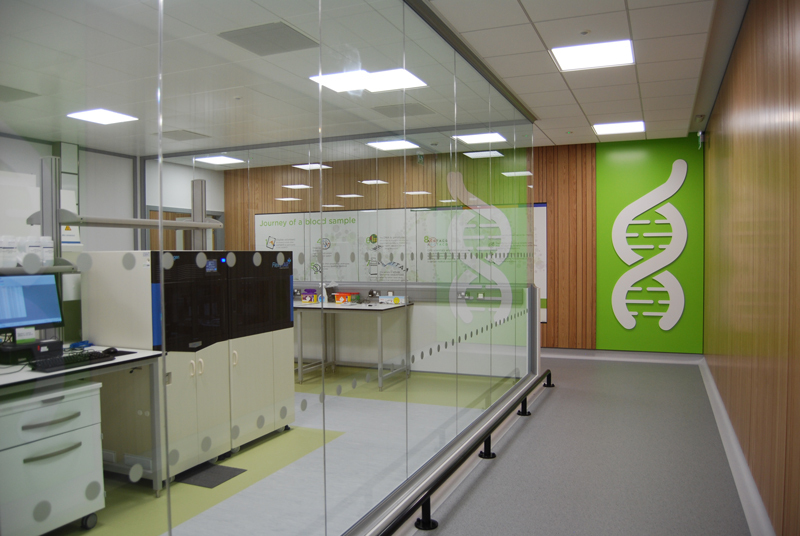 The laboratory is located in Cherrywood, designed by RKD and built by Ardmac and L. Lynch & Co. GMI moved into their first floor offices in early 2017 and then began the fit out of their laboratory in summer 2017. The lab was completed in February 2018. The project comprised of full air conditioning and air handling for 4 No. individual laboratories, gowning rooms, all associated equipment, ancillary rooms, fridges, freezers, comms rooms, stores and all associated plant. The labs have full generator back up, UPS, power, data, security, lighting, emergency lighting and all associated life safety systems.